original.kerchi: Prefect sunscreen. Choose Cosmoderm. you would probably know that i went for a video shooting for a sunscreen product. It's a local brand, MADE IN MALAYSIA ! I'm really lucky that Cosmoderm have chosen me & Daniel to do this mini video shooting. Before showing you the video, short awareness of Cosmoderm's Prefect Sunscreen. 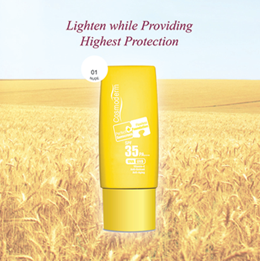 Why choose Cosmoderm's Prefect Sunscreen, you ask? 2) 500 I.U Vitamin E for additional protection. even indoors because 80% of UV rays are able to penetrate even clothing. • The sun emits UVA and UVB rays caused irreversible aging; fine lines and pigmentation. but scared if you apply too much foundation, that it will ruin your facial complexion? Just replace your foundation with this Cosmoderm's Prefect Sunscreen ! 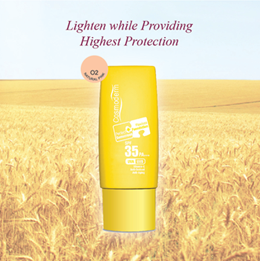 This Sunscreen/BB cream, acts like a healing agent. because of all the nature ingredient it contains. It helps your skin to breath and lighten your skin complexion at the same time. & the best part is that it comes in 5 color to suit your skin tone. Here's a before and after ! I'm using the 02 Natural Pink ! 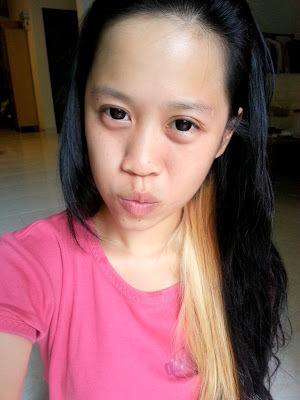 You can see that my face is yellowy dull color before, & much more fairer and pinker at the after photo. I apply this sunscreen on a daily routine.. 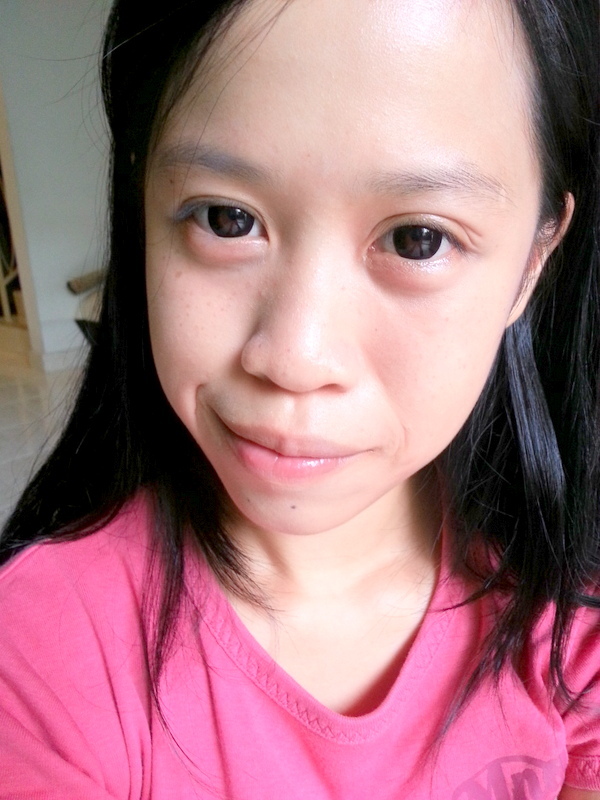 Cause you know la, our weather very very HOT & SUNNY! Have to take good care of your skin ! Long await. Here's the video ! It's like goodness to your skin all wrap up in a bottle. 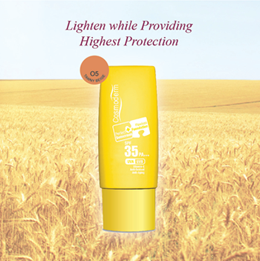 This sunscreen is suitable for everyone. Of all ages. Male or Female. & it's only for RM29.90. 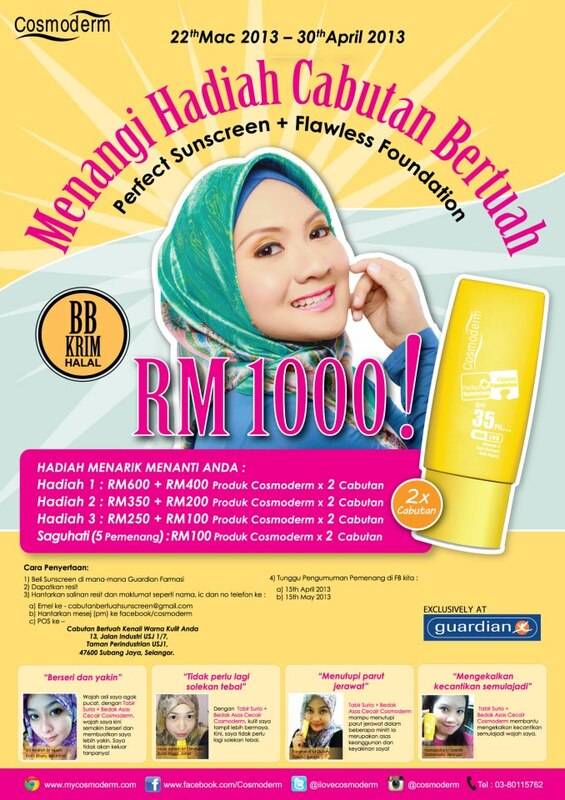 You can get it at your nearest guardian outlet & various independent pharmacy. Love your skin ! Choose Cosmoderm ! Love the blog and the video!